I'M NOT REALLY retired. More like, a retread. Or retried. I will say my stress level is waaaaaayyyyy down. 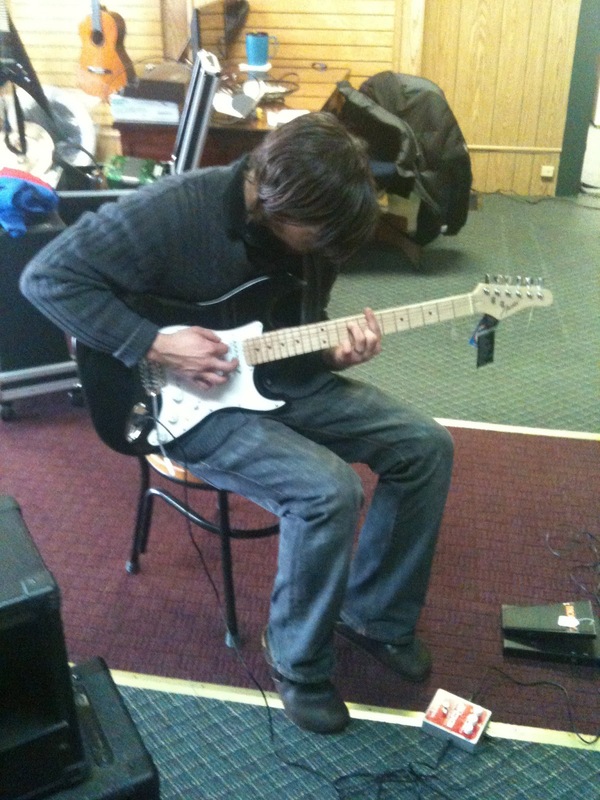 And I like giving guitar lessons in the afternoons and not feel like I've been hit by a truck at work all day. Sheryl continues to amaze me because running a business and dealing with all the different personalities is not easy. I like hanging out and schmoozing while she does all the real work. She left for a few hours earlier today and I was amazed at the people who came in and all the stuff we looked for, sold and talked about. Sheryl insisted I write a short story and it turned out to be a good experience. We are exploring the brave new world of self publishing, so you may be seeing some stuff soon. My first story is about a guy who gets fired from his band and all the whacky stuff that goes on with playing music. The harder I tried to exaggerate the more realistic it became. No wonder Edge cried when he saw Spinal Tap. Tonight I'm thinking about writing about my mom and the week I spent on my uncle's Lake Michigan beach seven years ago right after she died. I kept seeing her drift down the stairs to the beach and I still am not sure if I was dreaming. We'll put a few stories together and see what happens. YESTERDAY A GUY came into the store and was very rude. He wore out his welcome. I'll be nice to him if he comes back because in retail you can't burn any bridges, but his behavior irked Sheryl and me. This guy is a good musician who has been in the store before, but never bought anything. That's OK. We have more than a few folks who just like to wander in and hang out, and we are all about that. So this guy starts bashing our prices. "I can get that a lot cheaper on the internet," he says. He was looking at one of our nicer higher-end guitars and said we were "way off" on the price. Sheryl looked it up later and actually we are right on. If you think our prices are too high compared to the internet, you could be right. We try to match online prices but there are times when that simply isn't possible. There are two ways to approach us about it. One is to be a jerk and complain. Thank you, keep driving through. The second is to come to us and say, "You know, that Dean guitar is awesome, but I found it for a bit less online." Our comeback will be, "Let's talk and see if we can work something out." 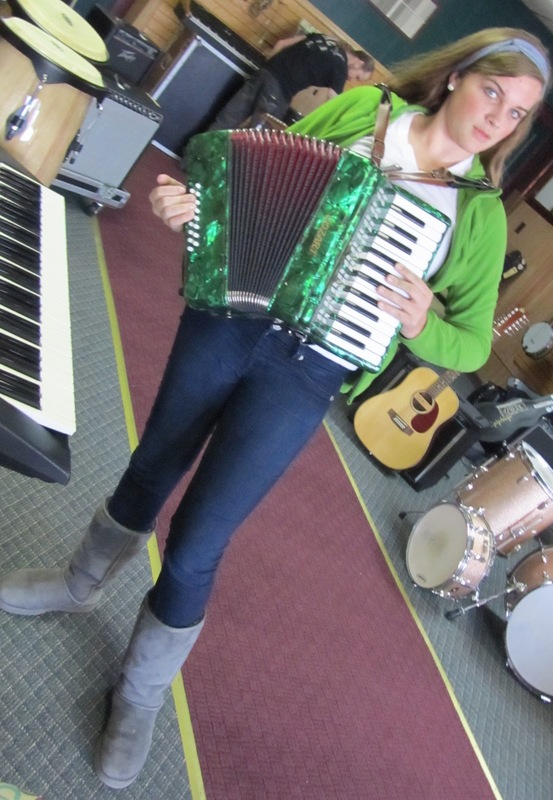 We stress service after the sale and the 4 free private lessons from Vancil with any instrument purchase is a sweet enticement to buy local. Where on the Internet will you get treated so well? A little civility can go a long way. Before I got into this retail bidness I used to buy music stuff online. You take a chance when you do because you never know if something will show up in one piece, if it's actually as good as it seems on the computer screen, etc. 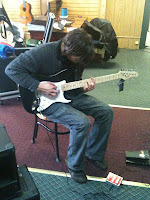 I prefer to try a guitar and see how it feels and sounds before buying, and many of our customers feel the same way. I also tried to support our local music stores, and on more than one occasion I paid a few more dollars. That's OK. I spent my money at local business, and it was worth every penny. Shopping at my local music store just feels right. Come in and talk to us! We appreciate feedback. And civility. Amazing, how everything works out when you use common sense and are polite. I HAVE THE rest of the week off, then one more week at The Whig. I'm terrified. But I'm feeling good. Great, actually. And I'm winning the battle with my Dutch Calvinistic guilt. I've been in the journalism and newspaper bidness for 24 years, and why shouldn't I go after something else on my terms? There are some intriguing things out there already. I'm prepared to spend some time finding something else to do, and I do need something else to do. Plus there's the huge smelly pile of goo called health insurance, and don't get me started or there will be anger management issues and we'll have blog violence. The store is set with Sheryl and a part-time employee. I'm not needed sitting around and playing the guitar and generally getting in the way. And ... I need something to do, something that will challenge me and pay the bills. I don't necessarily want to deliver lunch, water flowers or cut grass for a living. But I did get a little defensive when somebody suggested "it would be such a waste" if I didn't write. I watched Caddyshack last night and when Judge Smails delivered the classic line, "Well, the world needs ditch diggers too," I laughed again for the millionth time. But it's so true. And if I dig ditches and I'm happy, it's all good. I aspire for higher ditch digging callings. Head above water, Hoser. The adventure begins. THE CHEESEBURGERS HAVE been on a really good roll lately. Harty Har Har. The more Cheese, the better! We have had a string of fun shows. Last weekend was the Quincy Boat Club street dance, followed by a massive wedding reception at the Ambiance. 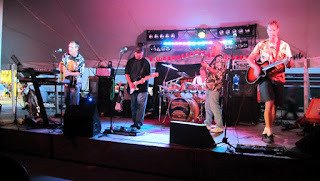 Friday night we played at the Knights of Columbus Barbecue, Quincy's annual end of summer bash, and it was more fun than should be allowed. Some folks say the K of C crowd is more into watching than dancing. Guess we proved 'em wrong, because after about a set we had the patrons going pretty good, and they stayed up in front the rest of the show. A good gig is all about the crowd. If they are into it and dancing and hooting and hollering, it makes everything easier. There were a bunch of loyal Cheeseburger fans and a lot of people I know in the crowd, and that translates into energy from the band. Our bass player, Jeff VanKanagen, had family in town and it was a riot watching his little granddaughter dancing all over the place. We even got his awesome wife, Mary, to play the cowbell with us. I practically shed a tear on stage. It was also great to see a couple of my guitar students in the crowd because I think they can see how much fun playing music can be. Big shoutout to Kristin Martin and her mom for putting up with the big goofball on stage. We are taking some time off. We had a gig scheduled Saturday at Adams Trading Post, but one of the band members has some important family business to attend to, and that always comes first with us. September and October are filling up fast, and hopefully I will update the Cheeseburgers schedule on our Second String Music blog site. Some 37 hours later, I still can't move. Always the sign of a good show! SOMETIMES I THINK settling in is the most dangerous thing. We all have comfort zones. We all strive to make things as easy as possible. But I'm not sure we were created to have things easy. I'm struggling with comfort zones right now. But I'm ready to deal with them. Our new business, Second String Music, is definitely not a comfort zone. We went from paying cheap rent in a small and out of the way building to taking a giant leap to Fifth and Maine. It has been terrifying, exhilarating and a blast all at once. Sheryl and I face a future dotted with challenges and questions, and we are ready. You can have comfort zones in your faith, work and relationships. I don't think God wants us to be comfortable. I think He wants to challenge us. I'm really going through the grinder right now when it comes to church, because it became too routine and comfortable. That fell on me and nobody else. So I've taken a big step back. I have no idea where it will lead. I tend to become complacent. I avoid controversy if possible. Part of it is the newspaper reporter in me, not taking sides, trying to be as fair as possible. When somebody is angry and yelling, I let them vent. Most of the time there is little you can do. I learned that the hard way working for Gus Macker all those years. Listen and move on. I walk away from conflict. Sheryl won't accept that and she's very good at making us face our issues. I hid for years in a basement and thought everything would work out fine. Geesh, figure it out, Hoser! I am a fortunate man now, indeed. Big life decisions make you take a step back. I have more important things to worry about than people who use exclamation points all the time, or Facebook know-it-alls who type in all caps. Playing music is putting yourself out there. Fun? Yes, more than you can imagine. But there's the uncertainty of it all that puts you on the edge. 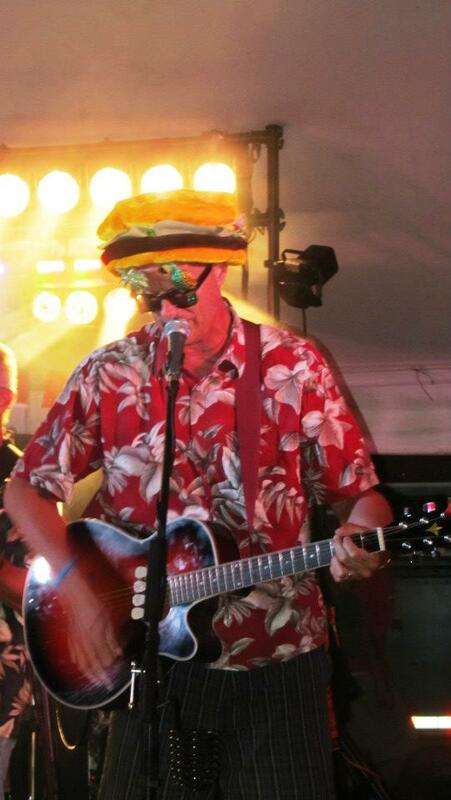 We have three huge Cheeseburger gigs coming up and two are at places I've never played before but always wanted to play. Friday night we're at the Quincy Boat Club Street Party. 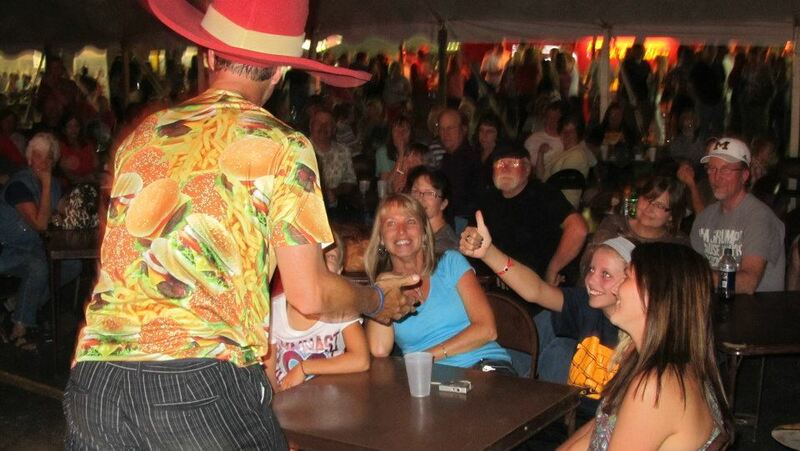 One week from Friday we are at the biggest party of the year in Quincy, the Knights of Columbus Barbecue. I have no doubt they will be epic and we'll be ready, but you never know what the weather will be like, if the crowd will accept you, if we'll have band or sound issues .... you roll with it, and it almost always works out. There it is. "It almost always works out." Actually, it always works out, in one way or the other. 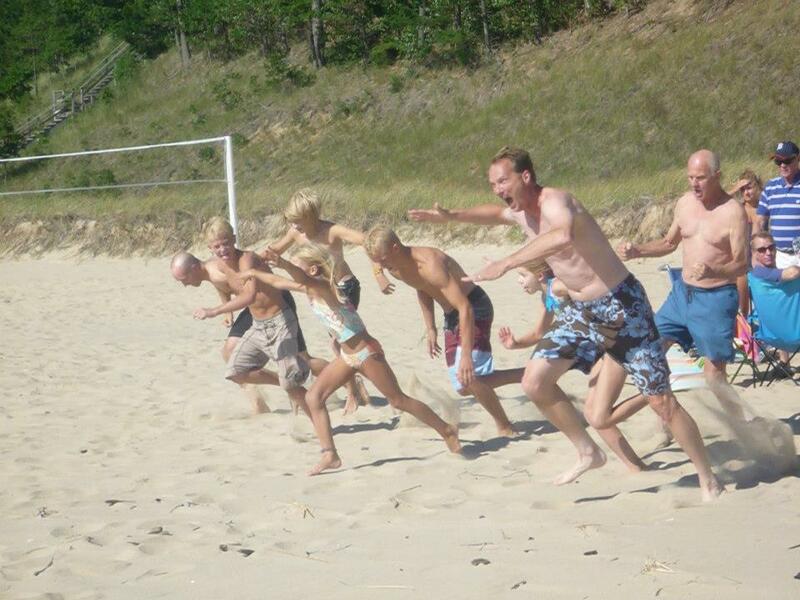 Can you tell I've got a Lake Michigan beach on the brain right now? I'm ready to do nothing, even if I have to do something uncomfortable, like drive for hours, find more ice and put up a tent. I'm ready to put myself out there. Really, really ready.